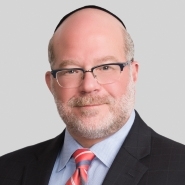 Jay Levine, a partner in Porter Wright's Litigation Department in the firm's Washington, D.C. office, co-authored the article "A guide through the state action maze" published by the American Health Lawyers Association (AHLA) in its November 2013 Membership Briefing distributed to the Association's Antitrust Practice Group. Copyright 2013, American Health Lawyers Association, Washington, DC. Reprint permission granted.